The flowers on our menu have always been a point of pride for all of us here at Foggy Daze– grown on our farm in the Santa Cruz mountains with all-organic ingredients, there is no denying the the quality of our buds is top tier. We always have at least eight diverse options to choose from and lately we have been getting a disproportionate amount of inquiries about our sativa strains. So, we decided to put together a list of the sativa flowers we currently have available through the month of March so all of you seeking a creative, energetic head high will know which is the best fit for you! Of course, as always, if you have any questions about these strains (or anything else on our menu,) please don’t hesitate to call, text or email our experience crew! Superstitious, also known as Stevie Wonder, is a heavily sativa-dominant hybrid strain that came from an interesting line of genetics: Trainwreck, Blueberry, Sensi Star and Bubba Kush. Most people who have tried Superstitious describe its effects as very cerebral– an uplifting, and mellow head high. This harvest gave us a sweet-smelling flower with a light THC percentage (12.6) It’s perfect for all-day use– something to “take the edge off” without leaving you too anxious or too stoned. Patients have also commented on Superstitious being a helpful treatment for migraine headaches, nausea and minor pain. Power Plant is a powerhouse; a potent sativa, weighing in at 19.8% THC. A rare, true, uncut strain from Africa, this plant was among the most vigorous grown in our greenhouses this past harvest. Expect an energetic euphoria– great for any creative projects that could benefit from a strong buzz! Also listed as being helpful for certain conditions including ADD/ADHD, Depression, loss of appetite and stress. This is a rare and strong sativa– another knockout with its THC testing 22%, Dark Shadow Haze is not for newbies! People have suspected that the name “Dark Shadow” comes from the feeling of being stuck on one thought or lost in your brain for too long, creating the effect of a dark shadow in your mind. For those looking for deep introspection or to focus on a creative outlet, Dark Shadow can be intense in a good way. 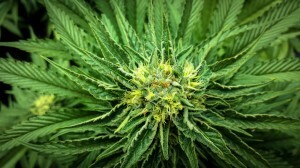 It is long-lasting and very traditional, as far as sativas go. Blue Dream has become a household name amongst anyone even slightly familiar with cannabis. 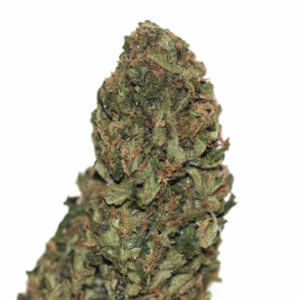 A sativa-dominant strain created in California by crossing Blueberry with a sativa Haze, Blue Dream consistently gives users an instant sensation that is both calming and invigorating at the same time. It doesn’t carry any of the sedative effects of its Blueberry (indica) parent, however, for those worried about an overly-active brain, this flower is a great fit for you! A wonderful daytime medicine with relaxing effects, Blue Dream should be used as a thought-provoking, happy, stress-free medicine.